OfficeTools empowers accounting and finances in various ways, and Ace Cloud Hosting empowers you to make the most of it. We have deployed the finest Disaster Recovery and Business Continuity (DR&BC) solutions to enable the continuous service delivery on any internet-connected device across the globe. Ace Cloud Hosting offers a guaranteed more than 99.999% uptime of services to keep your accounting solutions from OfficeTools in action for all the users – all the time. Located in Chicago, Phoenix and Dallas, our servers hosted in these data centers not only deliver maximum uptime, but we also scale high on the performance parameters. Superfast SSD servers deliver cloud services with modern facilities, such as – redundant subsystems for cooling, multiple high broadband network links, etc., along with cataloged security zones to maintain the fastest computing experience. Working on our cloud is almost as quick as working on a local device. To test our services in action, go for a free trial now. Managing the access of your staff to hosted applications remains under your control all the time. Simply log in to the admin portal and customize the users at your will. We have got spam filters, antivirus applications, intrusion detection & protection system, a lot more to keep your OfficeTools applications protected from unwanted intrusion. Whatever be the size of your organization, Ace Cloud Hosting has the potential of serving any number of users on accounting and tax apps with best in class hosting technologies. Your staff can work on the hosted applications using any devices based on any OS. Our hosting solutions are compatible with desktop, laptop, MacBooks, smartphone, etc. 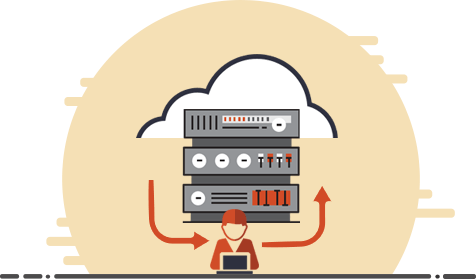 Our hosting solutions are independent of the local devices and are maintained by experts at Ace Cloud Hosting. So, there are no troubles for you with the local infrastructure. Running on the cloud, the updates with the applications are installed automatically, and their latest features remain at your service without any interruption. 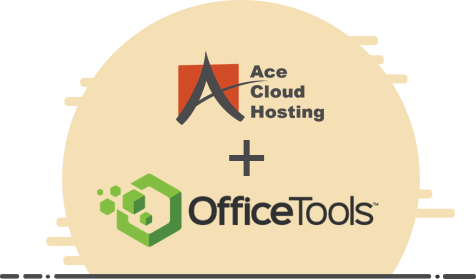 Host more than just OfficeTools applications with Ace Cloud Hosting and you can available exclusive discounts and offers. Contact sales team now for more details. Ace Cloud Hosting maintains an automated and secure backup of your application processes and data for 100 days to avoid any chance of accidental data loss. To let our actions speak for us, we offer a 10-day free trial. You can host Office Tools software on our servers for free and test us before making a final choice.